There’s a moment in most artists’ young lives when they realise music will shape their future and define who they are. 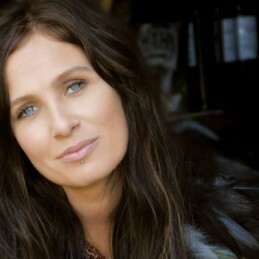 Kasey Chambers didn’t have to wait for that moment to arrive. Music is part of her DNA. Born in Mt Gambier in South Australia, Kasey grew up in a home environment where listening to and performing country and roots music was a way of life. It had to rub off and it did just as in later years, living on the Nullarbor Plain and travelling all over Australia with her family, the young Kasey got an education like no other. She spent her childhood absorbing the music of Hank Williams, Emmylou Harris, Johnny Cash and other country greats loved by her parents. It was in the family’s revered Dead Ringer Band with dad Bill, mum Di and older brother Nash that 10-year-old Kasey got her first real taste of being on stage. By the time she was in her late teens she was fronting the band and writing some of the songs. She never looked back from there and is now one of the most respected and accomplished Australian Country Music performers.